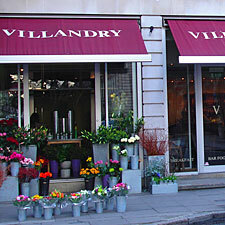 Villandry in London's Great Portland Street, offers a unique mixture in London, as it has a well-stocked foodstore at the front of the restaurant in addition to a cheese and charcuterie counter where customers can enjoy a glass of wine to accompany a plate of savoury delicacies, as well as a separate bar and restaurant. After Villandry's recent take-over by Steamroller Restaurants, who also own the acclaimed "Hush!" 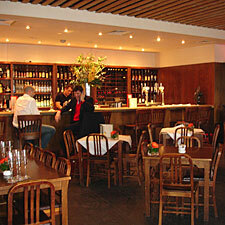 restaurant in Mayfair, proprietor Jamie Barber called in Sound Division to supply and install a fully zoned background music system across all four areas of the eaterie and foodstore. Sound Division supplied and installed a distributed audio system comprising a total of sixteen JBL Control 25 loudspeakers in white. 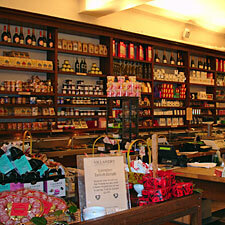 Four speakers went into each area respectively; the restaurant, the bar, the cheese and charcuterie counter and the foodstore. Control comes courtesy of a Cloud 46/50 four-zone mixer amp and the music source is from two Pioneer six-disc multi-changer CD players. According to Jamie Barber, the difference made by having a background music system in place is quite remarkable. "When we took over the restaurant last year, I was astonished to note that, with the exception of a very basic system in the bar area, there were no music facilities in the restaurant at all. In my experience, a little carefully selected background music in a restaurant environment goes a long way, and the same goes for a bar. At Villandry, having the new system has been like a breath of fresh air – the ability to play music throughout the site has already transformed the atmosphere to the point where it's having a very positive impact on sales, especially in the charcuterie and foodstore areas, so I'm delighted. As usual, the service provided by Sound Division was professional and efficient, as it has been on all the occasions that we have worked together in the past. I'm sure we'll be working together again in the future."